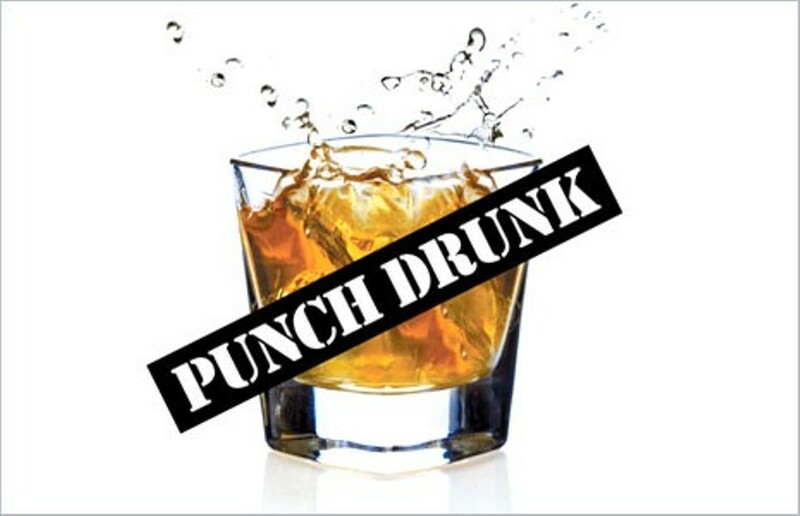 Punch Drunk: A World War II Christmas History Lesson | Punch Drunk | Style Weekly - Richmond, VA local news, arts, and events. The holiday blues have got nothing on the 101st Airborne in 1944. Seventy-one years ago this week, in an unheard-of speck of a town in Belgium called Bastogne, troops of the 101st Airborne and a spattering of other divisions were in the middle of what would prove to be the largest, most concentrated German offensive against the Western Allies in all of World War II. It was bitterly cold. Belgium’s coldest winter in 30 years. And unfortunately, many of the troops tasked to hold the line around Bastogne had been rushed into combat without their long-expected, yet never received, winter combat gear. Frostbite ran rampant, and trench foot, a condition that occurred after prolonged exposure of the feet to damp, unsanitary and frigid conditions, was a major issue — although the most disciplined units, like that of the 101st, had less of an issue with it than other divisions. The German Wehrmacht’s last gasp in the West was about to reach its climax. The Battle of the Bulge was at full tilt. Hitler had staked it all on a major assault through the densely forested yet lightly defended Ardennes just a week before, in an attempt to reach the all-important harbor at Antwerp, thus depriving the Allies of their biggest port and splitting the American and British armies. In Hitler’s deluded, maniacal brain, this attack, if successful, might just force a stalemate, forcing the Allies to the bargaining table and letting Germany focus its remaining forces on the unstoppable Russian hoard in the East. Bastogne was a significant strategic hub for transport and communications because of the seven roads that met in the town. Hitler needed Bastogne if Operation Watch on the Rhine — Hitler never had a shortage of poetic operation names — was to have the slightest chance of success. The town was surrounded, besieged and even bypassed by many German units, but in the end, Hitler and his generals knew that they absolutely needed to control it. The men of the 101st Airborne did just that over Christmas week 1944. A lack of medical supplies in the besieged town made the situation dire for the 101st commander on the scene, Brig. Gen. Anthony McAuliffe. Men suffered in makeshift medical facilities. The smell of gas gangrene, the horrendous smell of tissue death, filled the air. The shelling was intense with German forces throwing everything they had left at this godforsaken Belgian hamlet. Blood stained the white snow. Limbs were lost. Faces torn away. The injuries and miseries of both soldiers and civilians continued to pile up while promises of relief from Gen. George Patton’s 4th Armored Division, thus far, remained undelivered. It turns out that on the 22nd, the German commander opposite Bastogne, Heinrich Freiherr von Lüttwitz, had sent a surrender request, describing the Americans’ position as untenable. Basically saying, give up or you will be annihilated. All of this was contained in the flier sent out Christmas Eve, and it inspired untold amounts of confidence in the weary soldiers. After surviving a preliminary Luftwaffe attack that night and then a massive Christmas Day bombardment and tank attack, the American garrison was relieved on the 26th by elements of Patton’s 3rd Army, thus opening a corridor for supplies to the beleaguered Bastogne. “The battered bastards of Bastogne,” as they were now known in the international press, had provided an integral stopgap in the Bulge. To be sure, there were many other men who were engaged in battle across northwestern Europe’s frigid expanse — and in the Pacific against Japanese forces — that Christmas. We owe them all a debt of gratitude. We owe them for the freedom we’ll experience this week. We owe them for that sip of eggnog and that twinkle of tinsel on the tree.